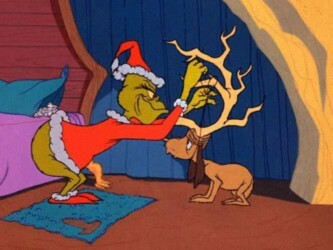 The original How the Grinch Stole Christmas! is a charming little short animation that was written by Dr. Seuss and narrated by the late great Boris Karloff. The absolutely fabulous Grinch Song is not sung by Boris Karloff, but actually credited to Thurl Ravenscroft of Tony the Tiger Frosted Flakes, (they’re GREAT!!) fame. You cannot watch the entire show on YouTube, but it can be watched free on Vimeo. The Whos™ were a tribe of annoying and nauseating little shits, who somehow chose to live in a place that looked like Avalanche Valley. After the opening scene, I would agree that the Grinch would be justified in nuking them from orbit just to be sure. They gave every appearance of being a cult of deeply religious breeders, but hey, let’s give them the benefit of the doubt, shall we? Well, we shall see. The Grinch had had enough of their Christmas celebrations, especially with the singing and cacophonous noise and revelry and decided to do something about it. 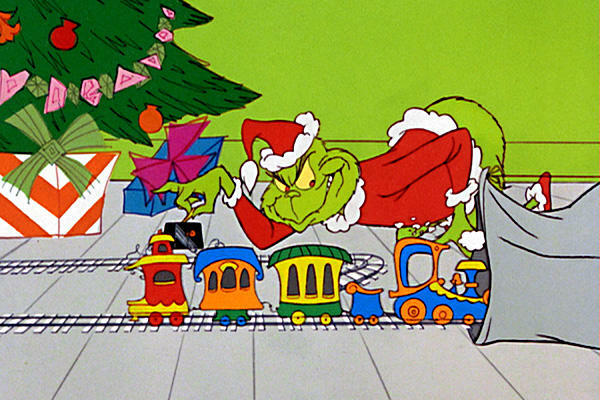 Along with his unwilling accomplice Max, the Grinch hatches a diabolical plan to steal Christmas from the Who’s and disrupt their noise and celebrations. 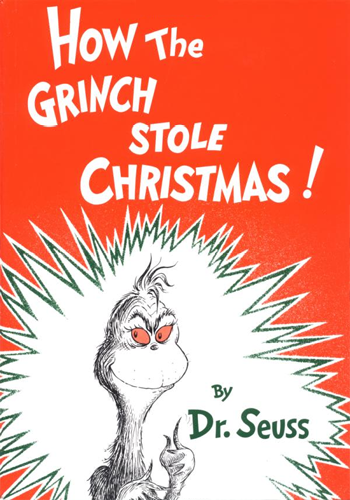 Grinch steals all the material goods, but after realizing that the Whos will celebrate even without the goodies, he experiences redemption, returns the Christmas loot, and everyone is happy ever after. The story is familiar and not really that important as it is the often repeated theme of A Christmas Carol. What is so great about this classic is that it validates the importance of technical pacing and a really outstanding script and delivery. Christmas “feel good” movies and specials are a dime a dozen, but what really sets the Grinch apart is the dazzling use of song lyrics and script to totally immerse the audience, and boy howdy does this short clip do exactly that. The evil intent of The Grinch is perfectly offset with the well-intentioned, but loyal dog Max, so the audience never turns against the villain, even in the darkest moment of the burglary. This is timed with the awakening of Cindy Lou, who was born without feet, and the viewers are given a slight hope of compassion, even from the smallest of dark hearts. How the Grinch Stole Christmas! is a classic example of how unique animation with the jagged landscape and the outrageous Seuss props, combined with a magnificent script, can totally hypnotize the viewing audience. There has never been anything like it, and probably never will be again. I love this version of the Grinch, it was damn near perfect and impossible to duplicate. 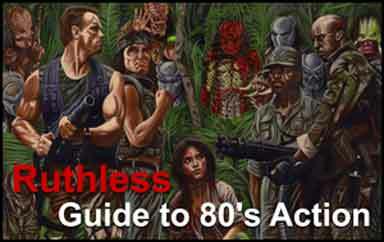 Even the great Ron Howard failed miserably in trying to do so. “You’re a mean one, Mr. Grinch. You really are a heel. You’re as cuddly as a cactus, You’re as charming as an eel, Mr. Grinch. You’re a bad banana with a greasy black peel! You’re a monster, Mr. Grinch. Your heart’s an empty hole. Your brain is full of spiders. You’ve got garlic in your soul, Mr Grinch. I wouldn’t touch you with a Thirty-nine and a half foot pole! You’re a vile one, Mr. Grinch. You have termites in your smile, You have all the tender sweetness of a seasick crocodile, Mr Grinch. Given the choice between the two of you, I’d take the seasick crocodile! You’re a foul one, Mr. Grinch. You’re a nasty wasty skunk. Your heart is full of unwashed socks. Your soul is full of gunk, Mr Grinch. The three best words that best describe you, Are as follows, and I quote” Stink! Stank! Stunk! You’re a rotter, Mr Grinch. You’re the king of sinful sots. Your hearts a dead tomato squashed with moldy purple spots, Mr Grinch. Your sole is a appalling dump heap, Overflowing with the most disgraceful Assortment of deplorable rubbish imaginable, Mangled up in tangled up knots!